 Our farm is a small farm - about 400 acres. 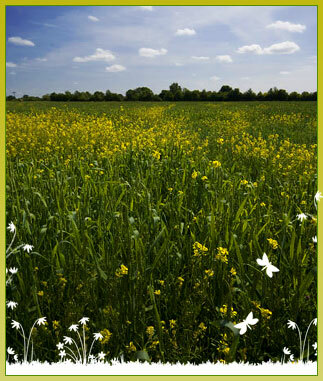  We grow wheat, barley, oats, triticale, asparagus and sweet corn. Plus grass for hay and for silage to feed our cattle in winter.  We have pigs, sheep, cattle and chickens.  We have 5 tractors. Burwash Manor has been owned by the Radford family for over 100 years. We (Michael and Susan) are the fourth generation of Radford's and our children will be the fifth. Matthew, our eldest son, has recently started working on the farm, learning the ropes. We employ seasonal workers; such as when we pick crops like asparagus, or during harvest; but mostly it's just Michael and Matthew. We work pretty hard! It's very important to us that the farm is family run, as it has been for the past 100 years. When we inherited the farm it was clear that we needed to do more than just farm. Therefore the diversification process at Burwash Manor started in the 1980s with a farm shop; now a delicatessen, The Larder, this remains the hub of the shops complex; farm produce still forms a significant part of the Larder's turnover, particularly seasonal produce such as asparagus and sweet corn. The success of the farm shop was the inspiration for establishing the two courtyards of shops as they are now. We are hoping to add a third courtyard of shops in the near future.